← Schedules & Rosters Available Online! 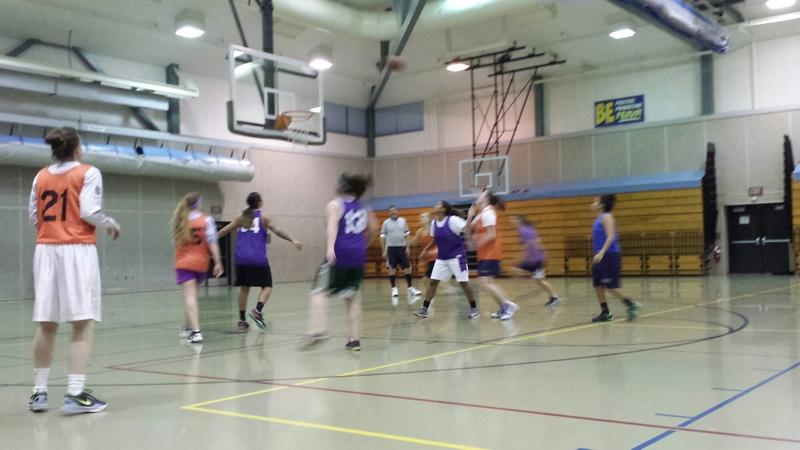 Our first season started last night with the Women’s Division 1 full court game at Dzantik’i Heeni Middle School. This was the first time the D1 Women have been able to play full court during City League and similar to their reappearance at Gold Medal, the women rose to the occasion. Team Latitude 58 and Team Island Pub battled back and forth all game. Latitude 58 pulled out the 2 pt. victory in the final period, 48-46. We finished the night with 3 Men’s D3 games, 2 Women’s D2 games, and 1 Men’s D2 game. The gym was full most of the night and every team showed up ready to play. It was great to see (and feel) the level of competition so high to start the season. We got a chance to see some great talent and some great basketball. We’re looking forward to the rest of season as teams start to gel together. Every game counts this year so thank you to those who dedicate themselves to this game and all the staff that make this league possible. You can check results from last night’s games through the Division links on the Schedule & Results page. We are not allowed access to the locker rooms, so come dressed and ready to play. Jerseys and numbers – we will give you the benefit of the doubt for the first couple of games because we started the season so fast. But we do need permanent numbers (not tape or marker) on jerseys and everyone needs to be in the same color. New Player registrations are due by 4pm Saturday to be eligible for Sunday’s games.